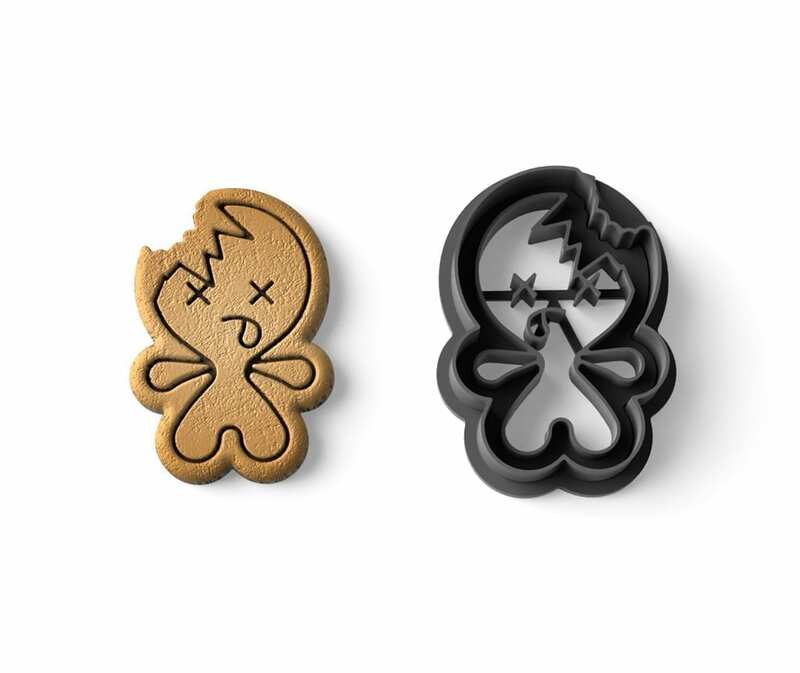 This dead cookie cutter looks like a half eaten gingerbread man and is sure to bring fun to your Halloween party. Made with biodegradable plastic PLA. Each pack contains a cookie cutter and a stamp which produces highly detailed cookies and biscuits.